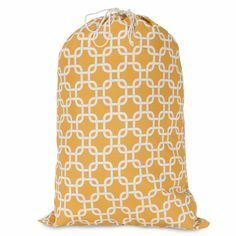 When it comes to shopping for essential dorm room items, bedding is probably on the top of everyone’s lists. As you peruse the aisles filled with different bedding options, you may be wondering which type of twin XL comforter is best for your needs. When making your selection, some things you will want to consider include desired longevity – do you need this comforter to last you all four years of college and beyond? Are you looking to update your bedding every year? Another thing to reflect on is the convenience of washing your comforter. Different materials require different levels of care when it comes to cleaning. Common questions among college students revolve around the laundering of bedding – especially comforters. Read on for some tips on washing different types of comforters. Many dorm comforters are simply made of bonded polyester layers sewn to decorative fabrics. Read the tag for specific washing instructions, but these comforters can generally be machine washed and dried. They are also inexpensive to purchase. Just don’t expect them to last past your first year, or for them to keep you warm in the dead of winter. They are made to be disposable, so there is no need to use any special care methods here. One tip for helping these comforters to last a little bit longer is to tumble dry on low heat rather than high heat, or hanging them to air-dry. Plush or novelty fabric comforters are similar to the polyester comforters in terms of longevity and level of care needed when it comes to washing. They are made to be disposable, so the washing method is the same as mentioned above – machine wash and dry, but do not expect this type of comforter to last you longer than one year. If you are looking for a simple, basic comforter that you plan on throwing in the dorm washing machine and dryer, then this is the option for you. For those with allergies, plush comforters may not be the best material, as the plush tends to retain many allergens. This type of comforter is held in the highest regards in the bedding world. Down comforters are very lightweight, yet very warm and cozy. They will also last you for years. Because of the high quality of the material, you will want to be sure to wash with care here. Many tags on these comforters will recommend that you take them to a professional cleaning service to be washed. If this is not an option for you, or if you need a last minute cleaning job, you can wash these on your own. If you have a very large comforter, you may need an extra-large, front-loading washing machine. Wash the comforter alone, on the delicate/gentle cycle. Use warm water and a small amount of mild detergent. Be sure to put it through the rinse cycle to ensure that all of the detergent is removed. You may want to put it through two rinse cycles. Tumble dry on low heat or hang to air dry. Throw a couple of tennis balls into the dryer with the comforter to help fluff the feathers throughout the drying process. If you have a down comforter, you may want to invest in some duvet covers in order to change the color or pattern from time to time as well as simplify the washing process. Simply remove the duvet from the comforter and check the tag for any special instructions. For cotton duvets, you can use any standard detergent, and these can be washed and dried with similar materials. When you move into your dorm room, you see bare walls and floors. There is no color scheme or personality to the area, as its generic state lends itself to the creativity of you and every other student. While some décor mavens may be armed with dozens of DIY projects to brighten up the dorm room, others may be stumped about how to cost-efficiently spruce up thewalls. Below are ideas to get your own creative juices flowing! Let’s start with the basics; posters are a simple and fun way to decorate your dorm and add a little extra personality. Display posters with images of your favorite band, actor, movie, animal and art work – whatever speaks to you! For a more cohesive look, why not select images that feature a similar subject or color scheme? For example, a black-white-and-red will look sharply modern, while an under-the-sea theme will tie in the different posters for a united aesthetic that pleases the eye. Murals make rooms appear larger, as well as gives you the freedom to personalize the subjects. Why not dig into your personal collection to find your favorite snapshots of your hometown? Alternatively, include magazine photos of travel destinations that inspire you. Photoshop and similar programs make it easy to create a digital mural, but you can always manually fashion one with scissors, glue, cardboard and lacquer. Tapestries are generally larger in size and can be a quick solution for reducing the amount of visible beige. This is especially considering that the many college students are discouraged from painting their dorm walls. If you plan on having bold patterns featured throughout the room, opt for a tapestry with a solid print. On the other hand, if your other decorative pieces are monochromatic, select a wall hanging with dynamic personality. Sold with bright colors and patterns, washi tape is a valuable asset for crafters. For a fun project, cut out cardboard shapes and wrap it in the tape. Additionally, you can cover cheap frames with the washi tape to make pictures truly pop. String lights not only provide a soft alternative to the harsh overhead illumination, but can draw attention to corners that you want to spotlight. While white bulbs will serve you regardless of the season, holiday-themed string lights automatically add festive cheer. This peel-and-stick wallpaper and decals come in different patterns and colors. The beauty is that, once it’s time to pack up for summer break, you can easily remove the decorative touches. Though you may need to wipe away glue or stickiness from the wall, you won’t need to reapply a fresh coat of paint. Turn to message boards for wall decorations that are practical. Many of these products are framed by eye-catching designs for a contemporary appeal. Plus, friends can leave humorous sentiments scribbled across the surface. Lightweight and easy to hang, message boards can be hung by desks, front doors or anywhere else you desire. The standard dorm room is equipped with a twin bed, a desk, a dresser or bureau, and one closet per tenant. This means as you pack up and get ready to move out, you may need to simplify your belongings. No matter how much you streamline, it is very likely that you will need a little extra storage space for things like books, extra bedding or bulky winter clothes. You can shove them under the bed or in the back of your closet so they are not accessible and will most likely become “lost,” or you can invest in some smart and convenient storage solutions. There are many options out there, but dorm trunks are one of the most popular items to serve this purpose. Read on to see why they are so popular, along with tips on optimizing your limited space with the use of trunks in the dorm. Use them on moving day. It is a good idea to make your trunk the first item that you buy when shopping for college. When moving all of your clothes and other belongings into the dorm, your trunk can serve as a convenient tool for storing and transporting your things. For this purpose, look for one that has a handle and wheels, since the size and shape of trunks can be awkward to carry – especially if they are fully packed. They are multifunctional in the dorm. Not only are trunks great for storing extra items, they can also serve as another piece of furniture in your room. 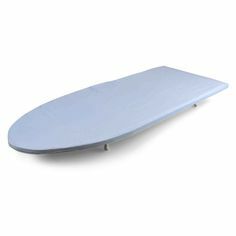 You can use it to store your towels or extra dorm bedding, and then you can use it as an end table or a seat. The secondary function of the trunk can vary from one day to the next, dependent upon your needs. One great characteristic of trunks is they are extremely durable – meaning they are difficult to dent or scratch. Plus, some designs are even waterproof. Look for armored trunks that come with a lifetime warranty; this means if anything happens to your trunk, you can continue to get repairs for free. You can lock up your valuables. If you are looking for a storage item to house some of your most precious items, look for a trunk that has a lock, or a latch that allows for a padlock. When sharing such a small space with other people, privacy can be limited. Or perhaps you want to keep things locked up to decrease the chances of items falling out while you move. Whatever the case may be, trunks provide the possibility of a lock to further your security. Trunks look great in the dorm. With all of the different colors, styles, and sizes, trunks are not only multifunctional but add an extra decorative touch to your room. You can find vintage styles or bright colors that fit with the theme of your dorm room. Look for a plain, solid-colored trunk and add your own personal touch with stickers or artwork. The possibilities are endless here. Slide them under your bed. This option will not be available for all trunks, but certain models will help you maximize floor space by being able to be slid under beds. To help with the process of moving them about, consider placing them on a small area dorm rug. 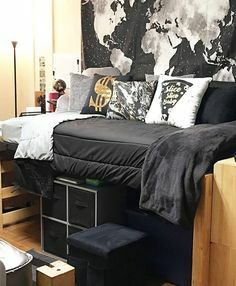 In the college dorm, your bed is transformed into more than just a place for sleeping; it can double as seating for friends, a place to watch movies on your laptop, etc. With that said, you will want this space to be extra cozy and comfortable throughout the year. You can accomplish this with a decent mattress pad, a couple of extra pillows (including decorative throw pillows) and, of course, blankets. You will most likely want to invest in a few different types of blankets for different purposes – whether it’s to keep you warm while you sleep or to simply throw over your shoulders while hanging out. This is the blanket that you will sleep under during those chillier nights. There are quite a few different options when it comes to selecting the particular style. You can go with the reversible microfiber option, which is one of the most common types of comforters seen in the dorms. For additional warmth, opt for one made of down or similar filler; take note, they can be costly though. These are the blankets that you will simply relax with or perhaps sleep under for those warmer nights when you don’t need as much coverage. 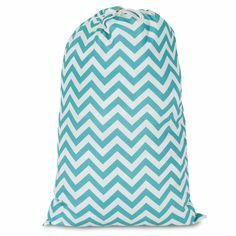 Throw blankets are a great way to add a splash of color to your bedding, and different styles of throw blankets serve different purposes, so you may want to buy a few for different times of the year. Fleece blankets are extremely warm and soft to the touch. This popular style is great for those cold winter nights when you need some extra layers or if you are just looking to snuggle up while watching a movie. These blankets are affordable and come in any color you could possibly want. They can also be found in different patterns, including animal print. Quilted throws are fantastic for adding an elegant decorative touch to your dorm bedding. They are soft, lightweight and breathable, making them an ideal choice for the spring months. Cable Knit resemble the texture of your favorite wintery sweater, adding a unique decorative element to your furniture. This material is most common amongst throws, so consider displaying it on top of chairs rather than the bed. Afghan blankets are beautifully woven blankets that come in any color and pattern you could ask for. These are often handmade and can be treated as treasures that can be passed down from one generation to the next. Therefore, these blankets should almost never be thrown into the washer and should be treated carefully. Crocheted blankets are a lovely addition to any bedding. They provide a homey feel to your room, and can be quite elegant in style. This will not be your warmest option, but that does not mean that you can’t have it on display year round. The cement walls and cold tile floors of dorm rooms can give a dull, uninviting feel to a dorm living space. 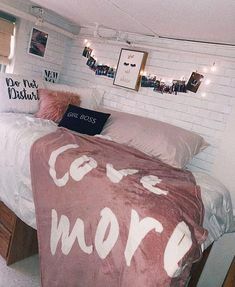 It is likely that you have added some color and style to your dorm room with posters, colorful blankets and pillows for your bed. The e the last step to tie it all together is a dorm rug for your room. Not only will this add a nicely decorative touch, but it will help retain some heat in your dorm room as well. This is especially helpful during the winter months when the floors can be cold against bare feet. When looking for a rug, your first concern may be the color and pattern. Another important thing to consider when shopping for a rug is the size. Read on for tips on how to find the perfect size to accommodate the dimensions of your area. The 5’ x 7’ area rug is the most popular size for amongst students. While this size probably won’t reach under your bed, it is large enough to cover the main part of your floor where your furniture and other supplies are located. More importantly, it will cover the areas where you will do all of your walking and sitting. The 4’ x 6’ rug is the next most popular size after the 5’ x 7’. This size provides more versatility in function. It is a perfect size for placing next to your bed for your own personal rug. What’s more, depending on the specific dimensions of the room, this slightly smaller size may enable you and your roommate to each have your own rugs without overlapping. For those that are looking for larger alternatives, turn to 6’ x 9’ dorm rugs. This carpet is not large enough to cover the entire floor, but it is your best option next to installing a wall-to-wall carpet. This size rug will cover the main area of your room while also reaching the area under your bed. If you want to purchase this particular length and width, also include a vacuum into your shopping cart. While lighter models may be able to be brought outside and shook in order to get rid of dust, this sized rug will be too heavy. A smaller, 3’ x 5’ rug is yet another option. This option is ideal for more specific purposes, such as placing beside so you have something soft and warm to place your feet on when you get up in the morning. They’re also useful for placing under heavier objects to help slide them about, like a spacious trunk that normally is housed under your bed. This list does not cover all of the rug sizes, as more variants do exist. 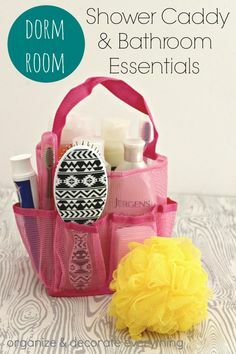 This covers the basics that will work in most dorm rooms. Additionally, not all dorm rooms are created equally, so you may want to check with your student housing office to find out the specific dimensions of your new living area. When considering the size of your room, the décor, and the purpose of a rug, you are sure to find the perfect rug that will create a warm and inviting atmosphere in your dorm room. There is never a wrong time to take advantage of the opportunity to reinvent your style and update your wardrobe. When living in the college dorm, this concept extends to your sleepwear as well. Dorm rooms tend to be locations for social gatherings at all hours of the day, so chances are that you will be seen in your pajamas by many of your peers in addition to your roommates. Keeping that idea in mind, you want to be dressed appropriately for public AND bed according to coverage, style, and the weather. During the cold winter months, flannel pajama bottoms are a warm and comfortable option. They come in all different colors and patterns, so you can feel free to make any fashion statement you choose with these. You can pair these bottoms with any T-Shirt, either long-sleeved or short-sleeved, tank top, or sweatshirt. You may even be inclined to get a matching flannel button down pajama shirt for extra comfort. Ladies can lounge casually and comfortably with oversized shirts made for sleeping in. Some different styles of nightshirts include longer V-neck T’s, Henley baseball nightshirts or tops honoring Greek life. These nightshirts are lightweight for those hot sleepers, and can be found in a variety of colors and patterns. 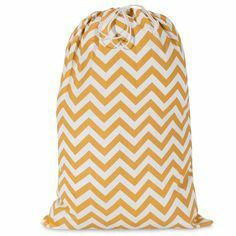 This is a great option for a sportier look in the summer months or if your dorm room is on the warmer side. Wrapping up in a blanket if only a nightshirt makes you cold is a great option. You can find matching tops and bottoms, buy the pants or the top alone, or mix and match. Knits come in all colors and patterns, so you have lots of style options to work with here. You can find a pair of knit leggings with a floral pattern and match them with a solid color tank top or T-shirt. Pair a knit top with flannel pajama bottoms or shorts, and finish the look off with a pair of knee-high socks. When it comes to making a fashion statement, thermal pajamas have the same concept as the knits – lots of variety in colors, patterns, and mix and match options. The biggest difference between thermals and knits, of course, is that the former are made to keep you warm and cozy during those cold winter months. Ladies can even sport a thermal nightshirt (these will look great with knee-high socks). Nightgowns are a great choice for ladies who want to look pretty and feminine in their loungewear. However, when it comes to nightgowns, not all styles are appropriate for the dorm. Shorter length, cotton nightgowns are a safe bet here – although a little bit lace won’t hurt. You can be pretty and fashionable in your nightgown, you just don’t want to get too formal. Rompers are all the rage right now, and this style is extending into the world of pajama fashion. These can be found in satin, knit and flannel. Some style options offer long pants with a sleeveless top, or shorts with a long-sleeved top. This type of loungewear is new, trendy, and quite comfortable. While living in the college dorm, you may already be aware of the need to wash your sheets once every week or every two weeks. When washing your bedding, your pillowcases get thrown into the mix. But have you ever considered the need to wash the pillows themselves? You may be wondering why this would be necessary, and there are hundreds of responses to this in the form of dust mites and bacteria that tend to collect in the crevices of your pillow, unseen. This can cause extreme allergic reactions and even asthma. In addition to dust mites, dead skin cells and bacteria can also get trapped in your pillows and contribute to acne. Living in a dorm increases the risk of bacteria and dust mites collecting in your pillows as a result of a small, shared space and old buildings. You have the option to replace your pillows every few months or so, but that can get expensive. But don’t worry, washing your pillows is quite simple, and you can use the washing machine in your own dorm building. Before you wash your pillow, double check the label to be sure that it is safe for washing. Most pillows are safe to go into the washing machine, whether down or synthetic. If your pillows have covers on them, be sure to remove the covers. You can throw them in the washing machine with your pillows. Allow the washer to fill with hot water first, and add detergent as it fills. You will want to set your washing machine to the longest cycle. Once the washing machine is filled and the detergent is fully dissolved, it is time to add your pillows. If you have a front-loading washing machine, you will not be able to do your soaking here. Soaking your pillows in the sink or tub will suffice, and then you can transfer them to the washing machine. Keep in mind that you may not have access to a tub in your dorm, however most laundry rooms found in dorm buildings have top-loading washing machines. Wash two pillows at the same time to keep an even balance in the washing machine. Be sure not to wash more than three pillows at once to ensure they get a thorough cleaning. After soaking your pillows, run the full cycle, allowing for two rinse cycles to ensure no detergent remains. Drying your pillows is simple – just throw them in the dryer! You will want to throw in some dryer balls or even clean tennis balls along with your pillows and pillow covers. 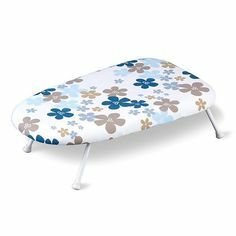 This will fluff your pillows and help them dry as thoroughly as possible. For pillows made with synthetic stuffing, you can set the dryer to low heat. For down or feather pillows, use the tumble dry, no heat setting. Once your pillows are dry, they should be fresh, fluffy and clean. Replace the pillowcases and enjoy. This cleaning should be sufficient for several months. It is recommended that you repeat this process about every six months or so. A big part of dorm life is laundry, whether you are doing it for the first time or watching it pile up in your room. For many students, living away from home for the first time means learning how to wash your own clothes. It’s likely that, while living at home, you took for granted the convenience of having a washer and dryer in such close proximity to your bedroom. It’s also probably a safe bet that you didn’t need to carry a roll of quarters around with you come laundry day. Laundry in the dorms can often be a daunting task, so be sure to invest in these essential items to make the experience much easier and to keep your laundry piles (and cost) relatively low. 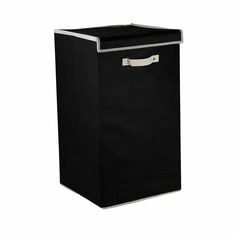 Since space is precious when you’re sharing living quarters with someone else, you will need a dorm room hamper that can hold a large amount of clothing without taking up too much room. The collapsible hamper is a dorm must have. These hampers are generally made of mesh material and come in different colors and designs, which could potentially shield your clothing from view of roommates and guests. 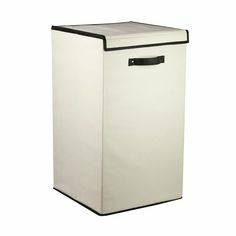 This item also has an easy access top and carrying straps, so transporting your laundry from your dorm room to the laundry room is made simple. 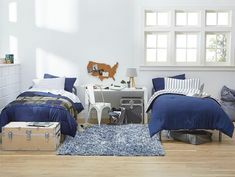 To make life particularly easy, look for one that provides dividers that allow you to easily segment different kinds of apparel and dorm bedding. This way, you can simply throw dirty items into the right compartment as you go along, rather than having to separate the colors and whites come laundry day. Most college dorm laundry rooms are located on the first floor or in the basement of the building. Unless you happen to be lucky enough to live on the same floor as the laundry room, chances are you will be forced to lug your laundry up and down flights of stairs, which can be very cumbersome, awkward, and downright dangerous if you are using a large laundry basket or hamper. 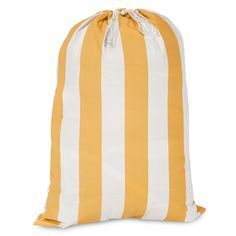 Laundry bags are made for this very purpose, so you can carry your dirty clothes from floor to floor with ease. Some bags even have backpack straps to provide the ultimate convenience. 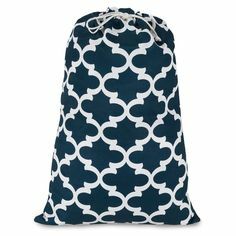 Look for a bag with a small zipper compartment for storing quarters or laundry sheets. 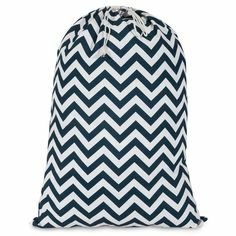 These bags come in many different colors and patterns. If you are already exhausted from lugging laundry and detergent from floor to floor in your dorm, then this item will change your laundering experience for the rest of your life on campus. Bottles of laundry detergent are big and heavy and provide a great inconvenience to carry along with your clothing. Laundry soap sheets are compact, lightweight, and they dissolve in water, so you won’t have to worry about spills. Let’s face it – not all of your clothing is dryer-friendly. So what do you do with those precious items that must be hung dry? This is where the convenience of a collapsible clothing rack comes into play. Save your quarters and your favorite sweater by hanging clothing on this rack to air dry. When you are finished using it, you can easily fold and slide it right into your closet, behind a bureau, or under the bed. Ironing and college may not seem to go together, but there will be days you will have a presentation and need to dress up and look professional. 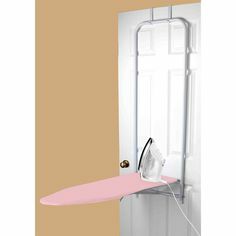 Luckily, you can find a small ironing board that folds easily, is lightweight and can be hung in your closet for the ultimate space saving convenience. 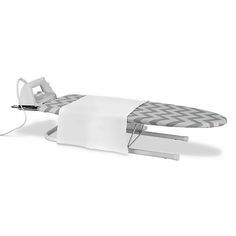 Steam irons feature adjustable heat settings, variable steam control, and nonstick soleplates that make them versatile and easy to use. You just moved into your new dorm room; after unpacking and settling in, you might be looking to give the room a little bit of personality. If you’ve seen college dorms in the past, you may have noticed all different kinds of posters displayed from room to room. There are no limits to what can be depicted on your walls, no matter whether you’re looking for a “Star Wars” rock brand poster or a sports-themed Buster Posey wall hanging. So how do you go about personalizing your section of a shared room? Read on for some tips on selecting and hanging posters in your dorm room. It is very likely that you will be sharing your dorm room with one or two roommates. Keep in mind they will have to view your posters every day, so be sure to find something that will not be offensive; you want a poster that is agreeable for everyone in the room. That being said, this does not mean that your roommates need to share in your enthusiasm for kittens or whatever is featured in your poster, but be sure that it is something everyone can tolerate seeing on a regular basis. If you can’t live without a wall hanging that drives your roommate nuts, perhaps display it somewhere just for you, like the inside of your closet door or a somewhat blocked cranny of the room. Consider the color scheme of your dorm room. Not every dorm has a specific color scheme or design, in which case the color or style of poster won’t make much of a difference. However, if you and your roommates are trying to keep a cohesive color theme present in the room, you want to be sure your poster selection will not clash with this design. The wall art you choose can even reinforce décor themes. Of course, black and white posters are a great option here, since they will go with just about any color scheme. The majority of dorm rooms do not allow for nails to be hammered into the wall so, in this scenario, double-sided tape or adhesive hooks are ideal. A secret weapon in this scenario is power strips. They work with just about any surface and have a double-sided adhesive trait that makes them perfect for hanging posters. Simply stick them to the corners and outer edges of your poster and then press against the wall. Another tool you can use is poster putty, which looks very similar to Play-Doh. This adhesive option has the same concept as the poster strips – simply stick to the corners of the poster and hang. So what does this mean for framing? Many frames are heavier, making it difficult for power strips or similar products to support the weight. Therefore, if you do insist on framing the poster, make sure that you opt for lightweight options. Where to hang your poster? The answer to this question is entirely subjective and will depend on the layout of your room. Look at the amount of wall space you have available and go from there. Longer posters tend to look better hung over the head of the bed, or on your closet door. Keep in mind that this is your space, so be creative and have fun with it – you really can’t go wrong here.